My family has always loved Halloween. We enjoy dressing up together and taking part in Halloween traditions. Whether it’s decorating or deciding on the perfect costume, Halloween is such a fun time of year. I am sure many families have their own unique Halloween traditions but here’s some great ideas for you to try with your family this year. Pumpkin Carving. Carving pumpkins with your kids is such a great tradition to enjoy every year. Get creative and try unique designs. Reading. There’s so many seasonal favorites out there for reading on every holiday. You can find a variety of Halloween themed books that your kids will enjoy. Find one that you can read to them every year on Halloween night, such as Room on the Broom . Or, add to your collection each year with a new book! Baking. Create a new tradition of baking your favorite fall treat every Halloween with your kids. We have several Halloween and fall inspired recipes on our blog such as pirate Oreo cookies that are always fun to make. Be sure to check out our collection of over forty pumpkin ideas for the fall too! Decorating. Decorating has to be a close favorite next to picking out the costume for me. We love to decorate indoors and out. Decorating our yard for fall is always a lot of fun. 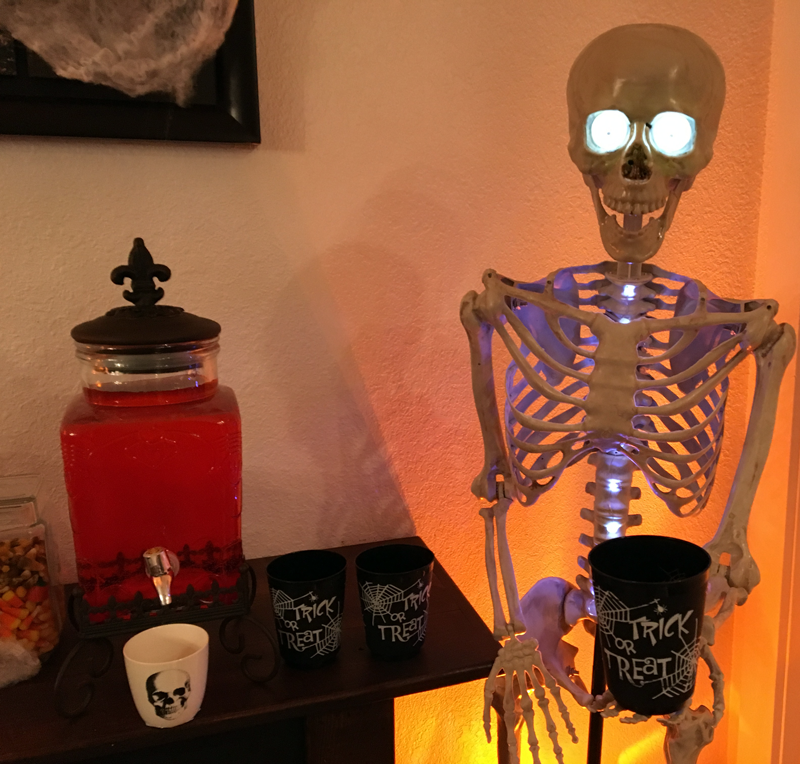 Go spooky or silly with your decorations – it really doesn’t matter as long as you love it! Treats. Besides baking your favorite snacks you can load up on a variety of candies and make cute Halloween treat bags. Make these for your own kids or get the kids involved and make them for passing out to trick-or-treaters. I love getting creative with these and including some cute novelty toys in them as well. Or, my mom even includes gift cards to hand out. She goes all out! Movies. Many theaters show special Halloween movies this time of year. For instance, Regal cinemas is offering a special showing of The Nightmare Before Christmas through Halloween night! It’s a classic and a favorite of ours. Halloween party. 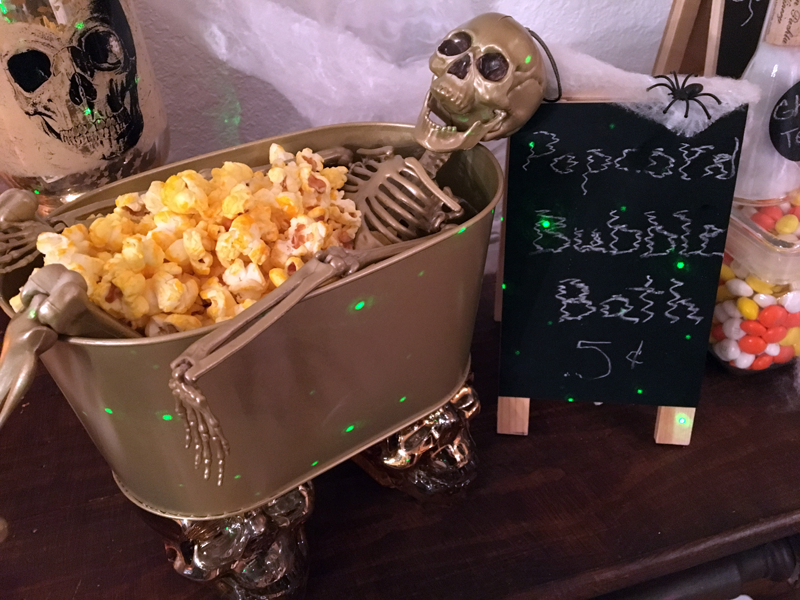 Throw a Halloween themed party for your family, friends or your child’s class. These can be so much fun. You can serve food, decorate and have fun games for everyone to enjoy. It’s a great way to get everyone together outdoors before it gets too cold. Try a bonfire to stay warm if it’s starting to get chilly where you live like it is here. Halloween parties are always a favorite for us. Does your family have any unique Halloween traditions? We’d love to hear yours! Comment below and share them with us!